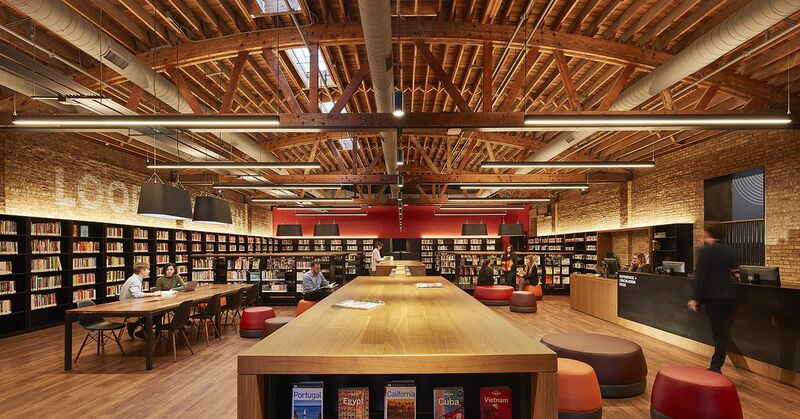 After years of unprecedented growth and development, the West Loop neighborhood finally has a Chicago Public Library Branch to go along with its new apartment towers, office buildings, hotels, and restaurants. New meets old in the SOM-designed civic space. Best addition to the West Loop in ever! Denise Olhava an opportunity to get together after I return to Chicago?